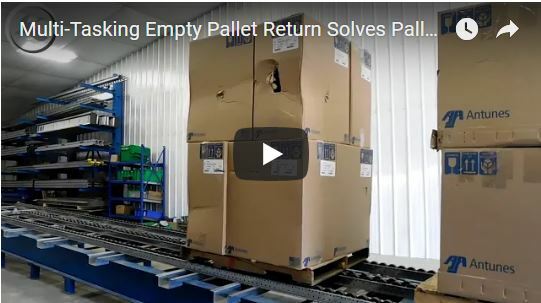 The Mallard EPR-700 Empty Pallet Return Separator is used to hold back empty pallets until 5-6 are accumulated into a stack, then the stack is released to flow down to an opposite aisle for unloading. It’s a handy device for product picked from pallets so that the pallets themselves are safely and minimally handled as well as quickly returned for send-out or replenishment. Load weights from 278 – 777 lbs. As the test video shows, the EPR-700 is ideal for holding the pallet in place until it is fully loaded. The pallet is easily released by raising the hand lever that disengages the pallet separator. The lane design allows for a controlled flow down the pallet flow lane to the opposite aisle for efficient processing and pick up by a forklift. The inventory can then be delivered to a loading dock or storage area. 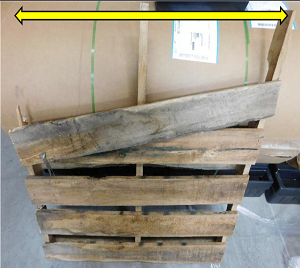 The most challenging part of this test was the pallet condition. The pallets were in very poor condition. 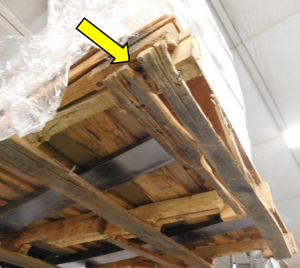 The testing lab engineers determined that if the inventory was wrapped with plastic including securing the pallet to the load, then the pallets were more secure and flowed in an acceptable manner. 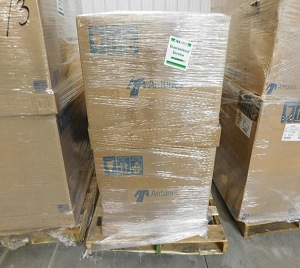 However, plastic wrap isn’t a first-choice solution… good, quality pallets are always our first choice. They are safer not only for your workers and your inventory but for your pallet flow system as well. To offset the poor conditioned pallets, the engineers stacked the inventory lengthwise after determining that the pallets were more stable that way. 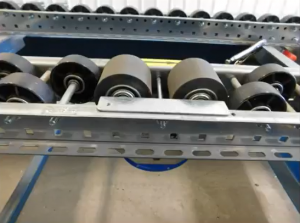 The addition of drop-in speed controllers mounted in the center pallet flow lane also helped the loads track more evenly and centered down lane which is particularly important for heavier loads. We always enjoy a challenge that requires our team to look at an application in a new way. This repurposing of the EPR-700 is unique but the team approach to finding a solution… not so much. What is your challenge? Visit our Blog Page to find more unique gravity flow solutions or give us a call to speak with a gravity flow specialist regarding your specific warehousing challenges.